The tech industry has a track record of shaking up long-established industries and being future-focused—so how is that being applied towards creating more inclusive hiring practices? We explored this topic in our most recent session of the “Less Talk, More Action” series. These events provide the opportunity for industry representatives who are in the trenches to come out and share both their challenges and successes as they implement solutions for inclusive hiring practices within their organizations. As Code Fellows works to provide a pathway for underrepresented populations to transition into tech and create a diverse talent pipeline that companies can leverage, we want to help industry representatives address the additional barriers that block inclusion. Event participants get practical insights and tools to bring back to their organization, plus are welcomed into a great community they can leverage as they make an impact within their respective roles. Adam has been with Substantial for the better part of a decade and is a key player in evolving the company’s hiring practices to be more inclusive. A few years back, a new hire pointed out that the job ad for developers was filled with unintentional implicit biases. This propelled Adam into action and Substantial has since implemented new strategies to eliminate bias and promote diversity and inclusion in their hiring practices. The job ad has been scrubbed and rewritten, code challenges model actual scenarios that the employee will face on the job, and the interview process has been adapted to be structured and consistent and to incorporate time for candidates to offer feedback about their experience. 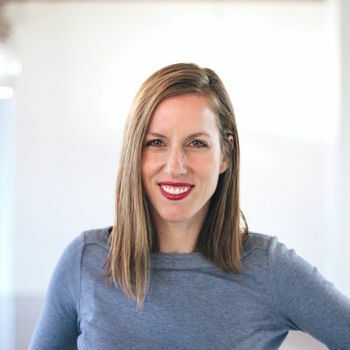 She leads the charge at TUNE in not just creating more inclusive hiring practices, but also creating buy-in for new hiring techniques across the organization, from recruiters to the C-Suite. She has worked with her recruiting team to standardize the hiring process, including the creation of a score-based rubric for technical exercises. She has also moved her team away from measuring “culture fit”—which can easily lead to biased evaluation—to asking questions that better measure alignment with the company’s values. Heather has worked with TUNE’s senior leadership to ensure pay equity, so that new employees start their career with TUNE on the right foot. Howard stumbled upon non-traditional candidates when one of his fellow bandmates decided to pursue a career in tech through an accelerated software development training program. After seeing his friend’s success after the immersive program, Howard has continued to see career changers excel as they demonstrate both a passion for the craft and a commitment to continuous learning. During this session of our Less Talk, More Action series, he explored how he has switched his interview technical assessment from whiteboarding to pair programming, to reduce bias and more accurately align the hiring process to the actual requirements of the job. As a representative of the civic sector, John leads the charge to help tech companies consider how they can align their demographics with the landscape here in Seattle, both now and as it continues to grow. Through the Equity and Social Justice Strategic Plan, King County has defined data points that companies can reference as they set their own diversity targets. He presented compelling opportunities for cross-sector collaboration, and offered a road map that can support companies in setting definitive goals, building relationships with various communities outside of the Seattle bubble, and measuring impact based off the King County Equity and Social Justice Strategic Plan. Neil served as the VP of Engineering at Yelp when they were in high growth mode. He shared the challenges of trying to hire quickly while focusing on inclusion. To combat any biases, Neil applied the NFL’s Rooney Rule to his hiring methods, requiring that minority candidates be considered for new openings. In a world where faster is often better, it can be easy to rely on existing networks and to interview candidates who look, sound, and work like the existing team. By abiding by this rule, Neil ensured that there was at least one minority candidate interviewed for each opening on his team. Now at Karat, he and his team are on a mission to engineer the world’s most predictive technical interview to help companies remove bias from the hiring process. We are grateful to each of our speakers for their role in leading both their organizations and the industry. As we continue to build momentum and community with the “Less Talk, More Action” series, we’d also like to give a huge shout out to our partner company, Substantial, for hosting our event. Keep an eye out for our next session in the series focused on how companies are building pipelines and pathways to enhance their diversity hiring efforts.